The Behaviour & Welfare Series is split into 4 mini-modules. You can complete each mini-module as a standalone course or sign up to further mini-modules to complete the Series. As part of the mini-module, you will undertake a group Theory Day, a home-study section and a marked assignment. You will need to have use of a computer and access to the internet for the home-study element. Each mini-module costs £50. Thinking about doing some Pleasure Rides but not sure how to get going? Find out what you need to know to get involved! 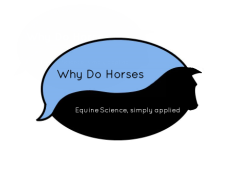 Done some Pleasure Rides and curious about Graded Rides? This is for you! Intro to TREC Clinic for riders looking to get started at Level One! Two-hour session including a shared group coaching session and an off-horse theory session. The indoor ridden session (max 4 riders per group) will include PTV obstacles and Control of Paces training. This will be followed by an off-horse navigation and info training session. This interactive session includes info on TREC competitions, basic map skills, a look at TREC equipment and how to get started! Tuesday 7th April 2015. Cross Oaks Farm, East Wellow, Southants.